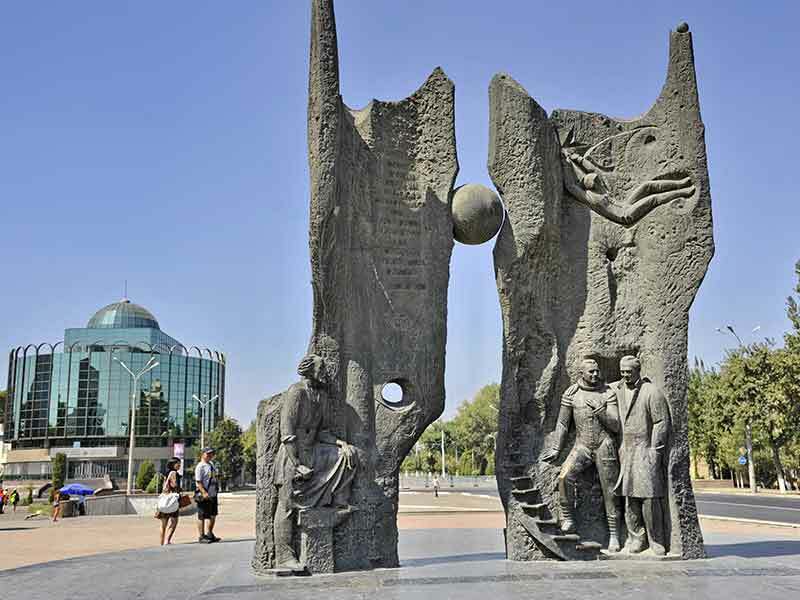 We saw in our previous article all the 4 World Heritage Sites in Kazakhstan. In this article we will continue and see all the world heritage cites of another Central Asian country, Uzbekistan. 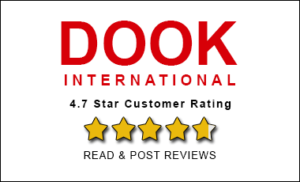 Uzbekistan is a wonderful country and a growing economy in the Central Asian region too. So while there are plenty of natural, historical and newly built places to visit, among those there are some world heritage sites, 4 to be precise as well. 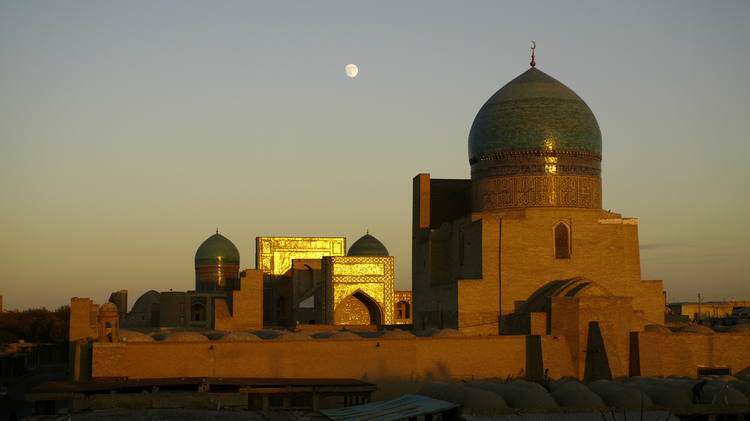 Anyone on the tour of Uzbekistan should visit these 4 World Heritage Sites by UNESCO too. We have seen in our old article when we saw how Bukhara holds quite a significant historical presence in Uzbekistan as well as Central Asia. Bukhara is quite a place for everyone. Located on the silk road Bukhara in the ancient times served a great role as a centre for trade, scholarship, cultural exchange and religion. Historic Centre of Bukhara was listed as world heritage site in the year 1993. Bukhara is a city museum which has 140 architectural monuments. Some of these famous monuments are Kalyan Minaret, Kalan Mosque, Char Minar and Chashma Ayub Mausoleum. Every Monument in Bukhara is a great representation of ancient architecture. Bukhara from the outset itself looks quite beautiful. Bukhara with its urban designs and its buildings had a profound influence on the evolution of urban planning in a large part of Central Asia. So all the buildings in Bukhara whether religious or commercial demands a special attention. Shahrisabz is a city in Southern Uzbekistan located around 80 KM south of Samarkand. 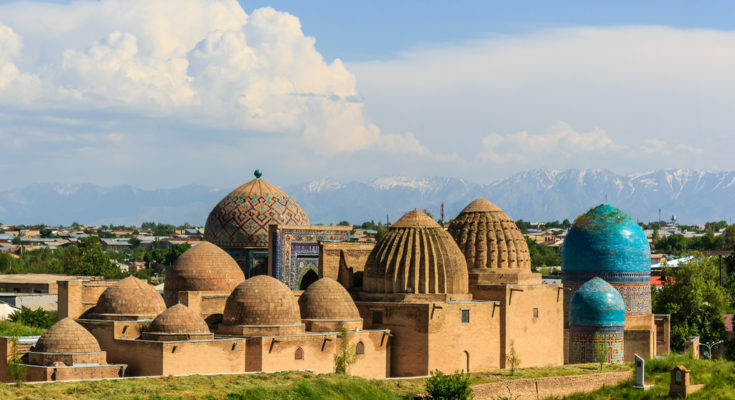 Shahrisabz once used to be a major part of Central Asia and it is known mainly for being the birthplace of 14th century conqueror emperor Timur. So everything here is connected with the name of Timur. 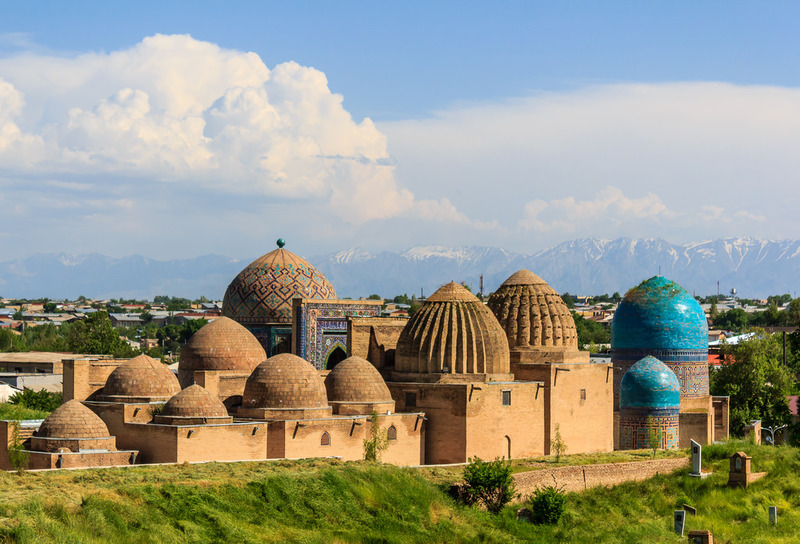 Shahrisabz is said to be one of the most ancient cities of Central Asia. Shahrisabz was listed as World Heritage Site in 2000. In old times the city was called Kesh and was named as Shahrisabz in modern times. Footprints of farming communities have been found here in the first millennium BC by Archaeologists. There are several beautiful monuments from Timur time which is why old part of the city was inscribed as world heritage site. Some of those monuments are Timur’s summer palace, Kok Gumbaz Mosque, Hazrat-i Imam Complex and Tomb of Timur. 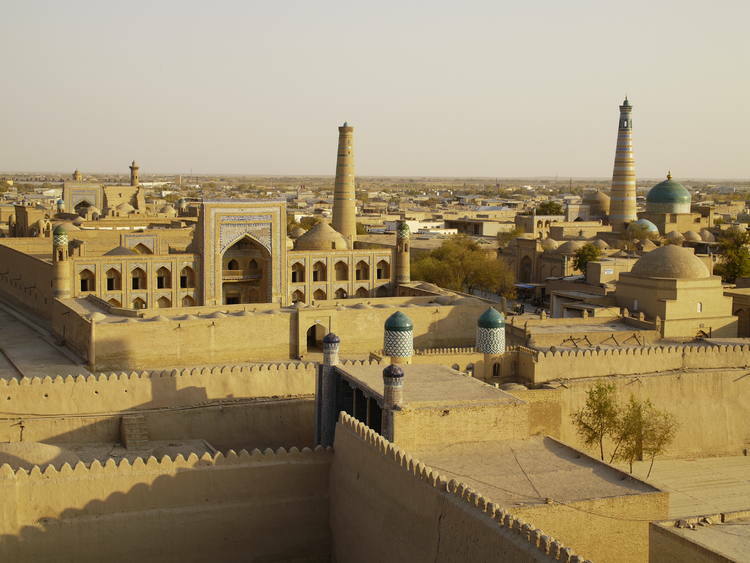 Itchan Kala is inner town of the city of Khiva. This was inscribed as world heritage site in 1990. The architecture again is quite beautiful and the old town retains over 50 historic monuments and around 250 old houses. Remains of old architectures here represent beautiful and well preserved example of Muslim architecture of Central Asia. There are several outstanding structures one must visit while in Itchan Kala, such as the Djuma Mosque, the mausoleums and the madrasas and the two magnificent palaces built at the beginning of the 19th century by Alla-Kulli-Khan. If you can get an bird eye view of this place you will surely love the scene on the ground. Located to the south of Amu Darya River in the Khorezm region of Uzbekistan, this place used to be the last resting place of Caravans before crossing the desert to Persia. Thus Itchan Kala history spans over two millennia. One of the most super feature of Itchan Kala is its crenellated brick walls and its four gates one at each side of this beautiful fortress. Although it is believed that the foundations had been laid in the tenth century, however present-day 10-meters-high walls were erected mostly in the late seventeenth century and later repaired. Historic town of Samarkand is known as crossroad of cultures. Samarkand is also one of the oldest inhabited place in Central Asia. Though there is no proper theories about when exactly Samarkand was founded but some evidences hint about human activities in this area of city from late Paleolithic era. In the past Samarkand has been one of the greatest and most prosperous city of Central Asia too. Timur made Samarkand, capital of its empire in 14th century. 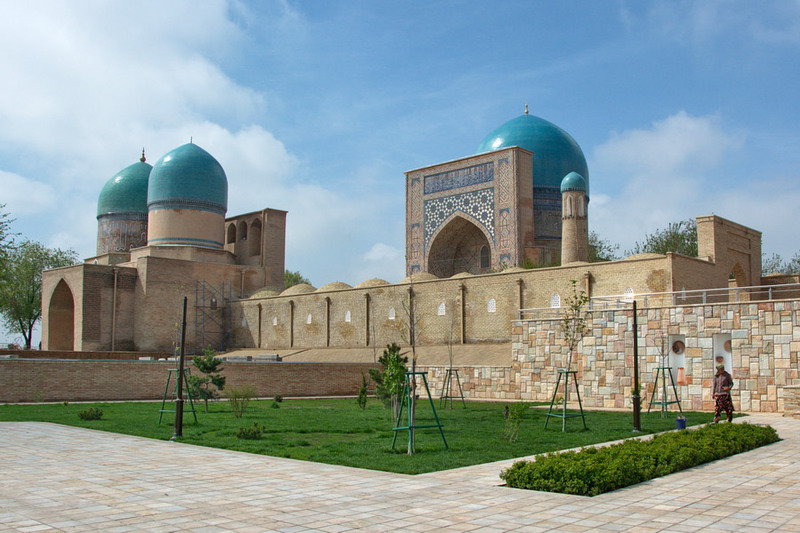 Samarkand has also been known for being Islamic centre for scholarly study. 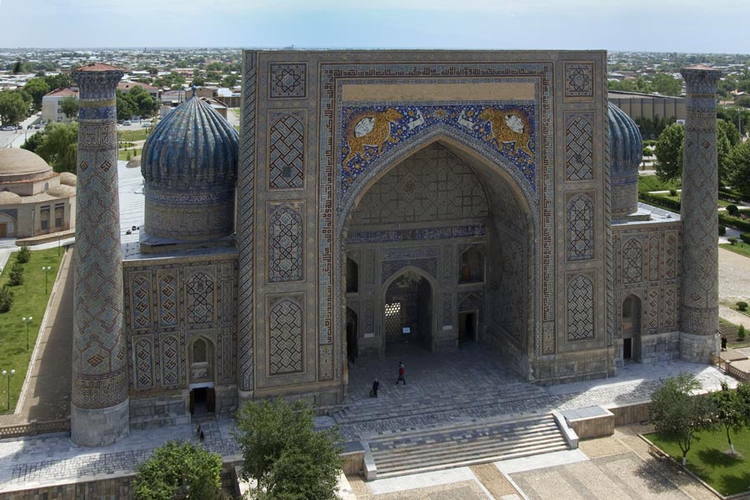 In the 14th century Samarkand became capital city of Timur empire. Samarkand as Samarkand – Crossroads of Culture was listed as world heritage site in 2001 by UNESCO. Today there are several famous structures in Samarkand and the best one is Gur-e-Amir Mausoleum. 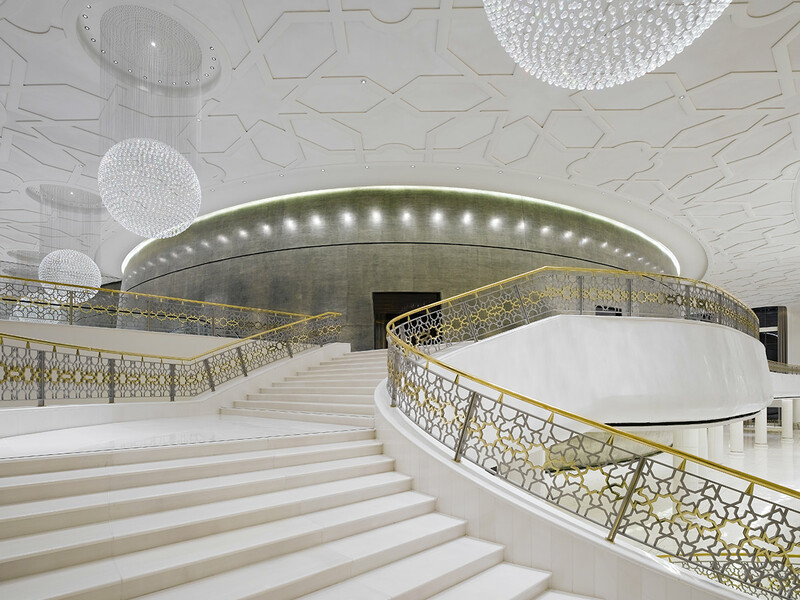 This mausoleum represents influences of Islamic culture and civilization from the past. 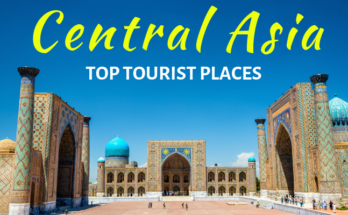 Some other major monuments here include The Registan Mosque and Madrasas, Bibi Khanum Mosque, the Shakhi Zinda compound and the Gur – Emir ensemble. So once you are in Uzbekistan do visit Samarkand and its famous monuments.